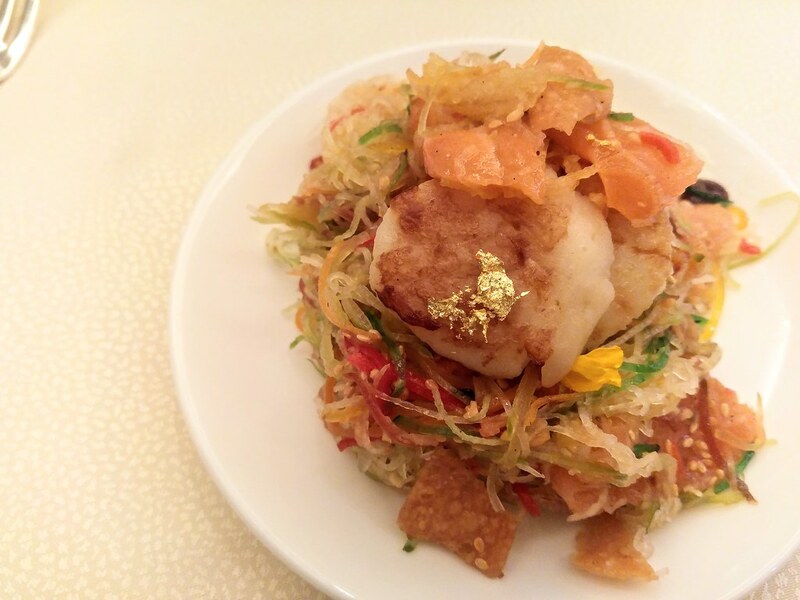 Expect innovative Lunar New Year dishes over at Golden Peony at Conrad Centennial Singapore during this festive season. 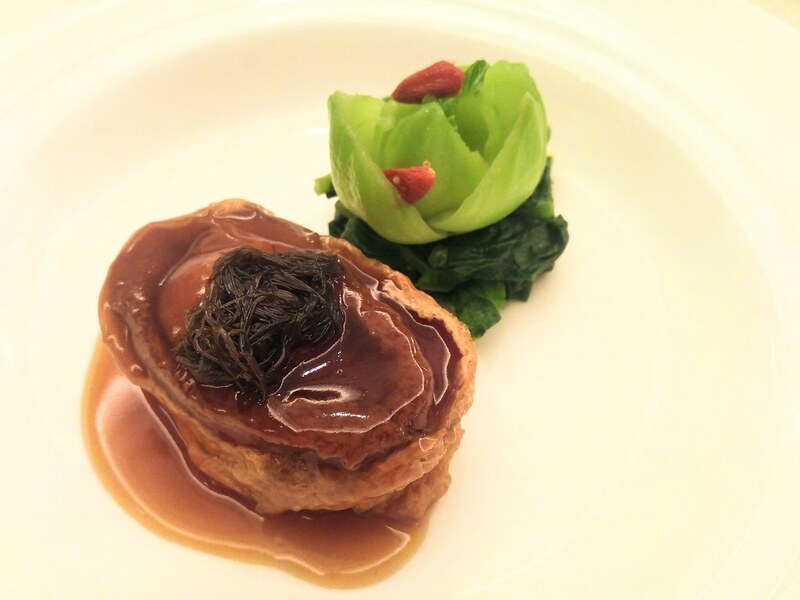 Executive Chef Ku Keung’s Year of Dog Prosperity Dishes is once again, a menu showcasing his effort to innovate year after year. 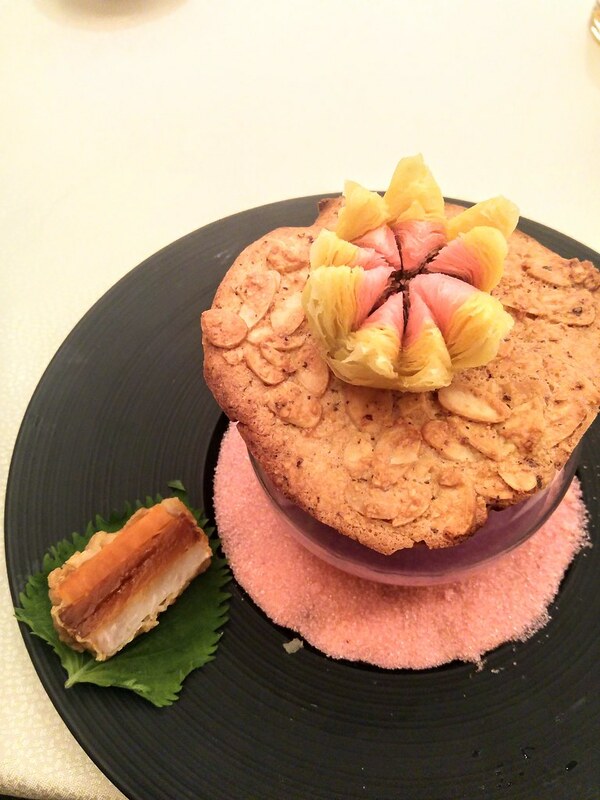 立体金犬鸿运鱼生 Fortune 3-D Meringue ‘Yu Sheng’ ($888++ 30 persons & above) with abalone, salmon , crispy fish skin is probably the most adorable Yu Sheng of the year. Enliven with a 3-D Meringue portrait of a zodiac dog, this festive salad may just bring a smile to your face first, even before it delights your stomach. 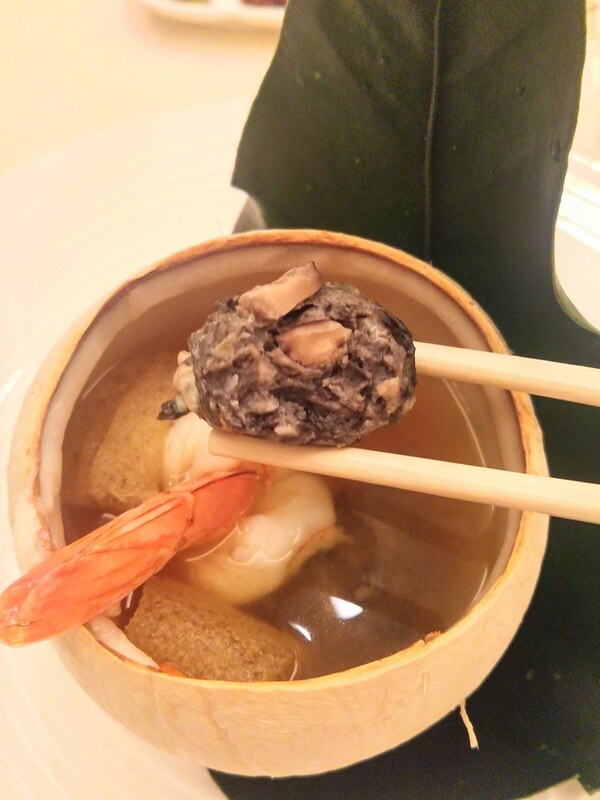 椰皇虫草花黑鸡丸天使虾汤 Double-boiled Cordyceps Flower Soup with New Caledonia ‘Obsiblue’ Prawn and Black Chicken in Whole Young Coconut. It is a wonder to see a black chicken soup being so pristine looking, partly because there isn't a trace of unsightly bones nor chunk of meats. As clear as a consomme, the soup was light on the palate, rich on flavours. Double-boiled in coconut, it carries hint of coconut and the constant whiff of coconut fragrance up the taste by a notch. The black chicken is being deboned after being double boiled, minced with mushrooms and water chestnuts into chicken meat balls. Gracing the top is the angelic looking Obsiblue prawn. This blue prawn of New-Caledonia is seemingly a Michelin-starred ingredient and I attribute its status to its clean-sweet taste. 特色上海粢饭烤乳猪 Roast Whole Suckling Pig filled with Shanghainese Sticky Rice, Fritters and Chicken Floss ($338++ ). 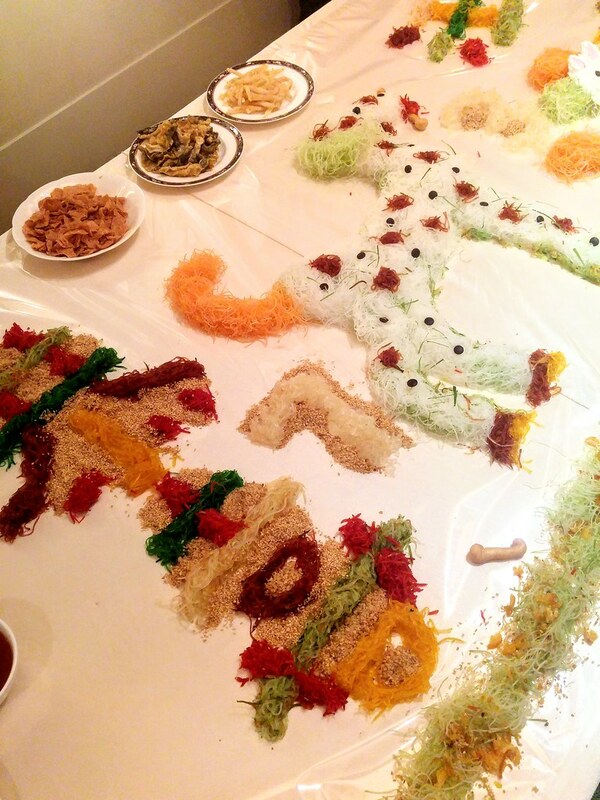 Every year, Chef Ku Keung will think of a different filling for his suckling pig. In one year it was chicken rice, and this year, encased within the glistening crispy skin is Shanghainese Sticky Rice. 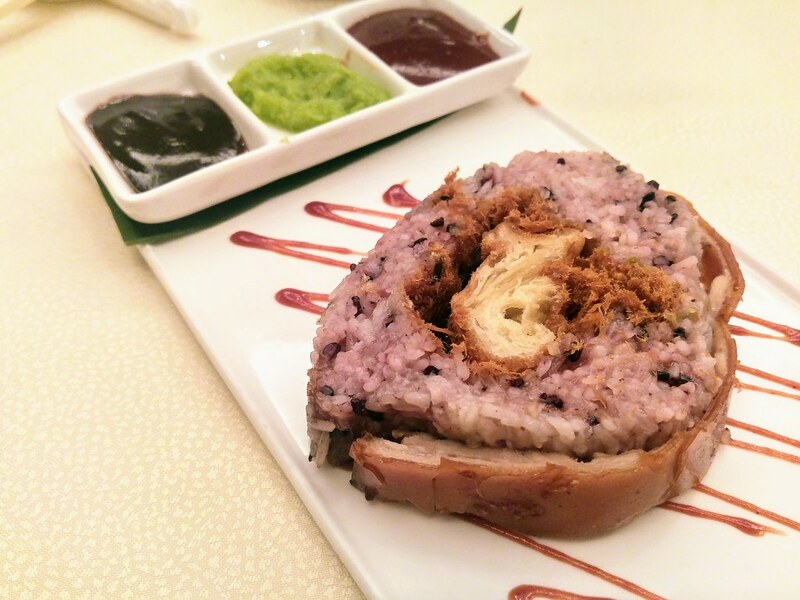 Traditionally, Shanghainese sticky rice is served in rolls, which is also known as Ci Fan. Meant as a heavy snack to fill the stomach, the rice wraps around a fried dough stick with pork floss. A popular street food, I was impressed by how seamlessly it has been turned into a lavish dish on our table. Do note 24 hours advance order is required for this dish. 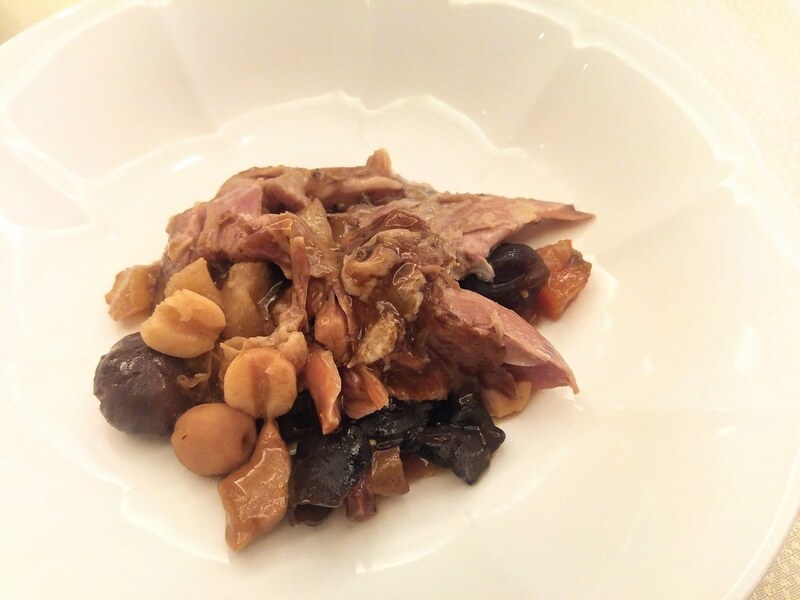 A dish that I find really soul warming, is the 荷叶八宝鸭 Fortune Eight Treasures Stewed Duck ($98++). It takes about a total of 5 hours of stewing for the duck to reach this level of tenderness. And in between is the wrapping of the lotus leaf, followed by the wrapping of the dough (similar to baked salted chicken) as the final stewing stage. My favourite is the eight treasures filling that has completely absorbed the flavours and softened in the juices of the meat at the end of the 5 hours. Featuring Golden Peony's mouthwatering X.O. 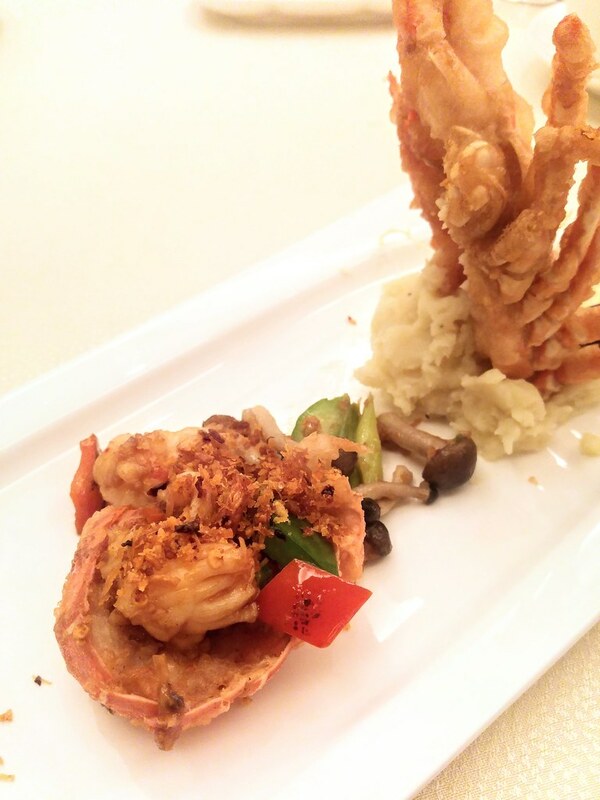 Chilli Sauce is the 脆口X.O酱开边龙虾 Stir Fried Half Lobster topped with Crispy X.O. Chilli Sauce ($38++ per pax). Stir-fried till crispy, the X.O Chilli Sauce becomes even more fragrant, like how bacon bits does its magic. The lobster meat was firm and bouncy, and my favourite part was near the edge of the shell, where parts of the meat had gotten slightly fried. 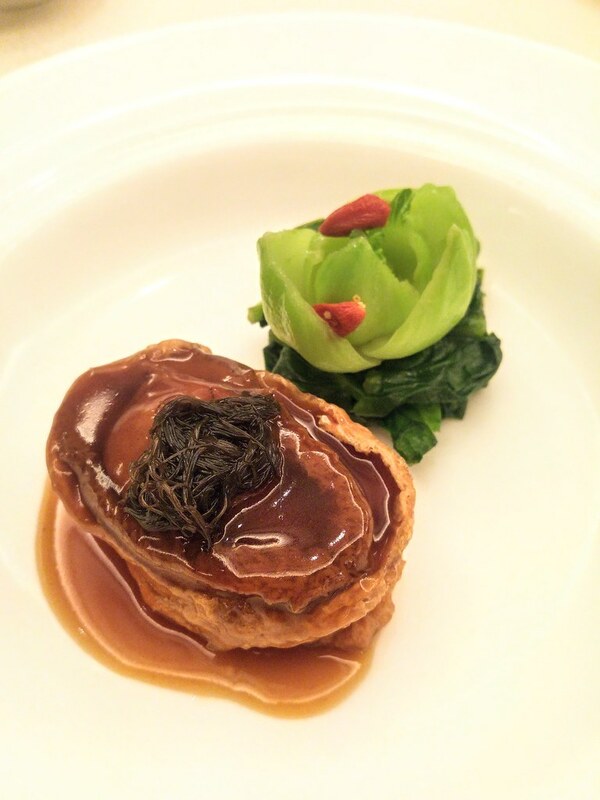 Served with a touch of finesse is the quintessential abalone - 日本豆腐袋痴缠澳洲鲜鲍鱼 Braised Australian Abalone ($28++ per pax). What's interesting is that the abalone is wrapped in Japanese beancurd pouch, which I though it sort of represents a gold porch. The sweet note to our feast was 紫薯珍珠露 Chilled Japanese Sweet Potato Puree with Pearl Sago ($8.80++) . The cookie in between is Chef's idea to give it a little western flair but I find the presentation a bit too much. The pretty 'Peony' pastry atop, which is made with date filling is the only element that I like out of the entire artwork.